/ Who Should Work On Your Rig? You either own, or plan to own an RV. At some point just as with a car or a house you’re going to have to have or want something fixed, serviced or replaced. Whether you’re full timing it or not, taking it back to the manufacturer or dealership where it was purchased isn’t always a viable option…and if you bought from a private party, well as soon as your rigs tail lights were out of sight so ended the return policy. So who do you turn to, to have repairs made? This is a question many of us ask ourselves and others are seeking the answer to, usually in desperation because an immediate need exists or you are still investigating whether or not the RV lifestyle is something you want to invest in. Part of the reason I chose to write this post is because of the recent string of RV fires which have been shared on the various RV social media communities and local and national news. Unlike a conventional house, a fire in an RV spreads a hundred times faster due to the confined space, close proximity of flammables and construction materials. 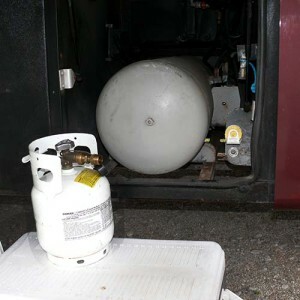 Whether it’s a portable bottle or a mounted tank inside the RV, it must be recertified when it turns twelve years old. So if you are looking at purchasing a used RV, make sure that the bottles and or tanks are still within certification. A leak in the LP system or appliances can have serious consequences! 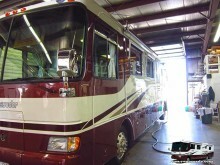 Treat your RV as if it were an airliner, especially if it is a motor home. Only certified and licensed technicians are allowed to service an aircraft. The consequences of having someone unqualified to do the repairs can have serious consequences. One being an increased potential for fire. I read through some of the accounts of several fires and they all have something in common. These fires occurred after someone had recently worked on the RV shortly before the fire occurring, often directly related to appliance repairs. I’ve seen a fair number of independent service technicians at the various parks and resorts we have visited. Some are nothing more than a local handyman with no formal training or certifications. This is an area where this industry and the community need to demand better training, certification and licensing. Imagine yourself hiring someone to fix an appliance or other component in your rig and shortly afterwards something dreadful happened. Worse case scenario you lose everything because the person you hired took a shortcut or didn’t do the repair using the correct procedure and replacement parts. What is that saying…”Never enough time to do it right the first time, BUT always enough time to do it over.” Keep that in mind, you don’t want to save a couple bucks only to have to deal with a disaster later. Using untrained, unlicensed and uninsured repair resources just might leave you out in the cold, not only have you lost your home and possessions, but you’ll also probably be doing battle with your insurance company for a much needed settlement. Turning to a big dealership or nationally know chain has its problems too. 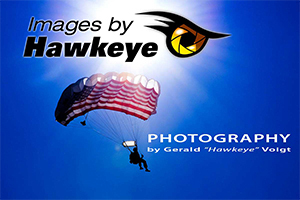 I know of one that many you are aware of that has a real public relations issue when it comes to the service work they do. Full disclosure, I have never used them for service, I have sourced parts from them and found one of their particular stores lacking in customer service. This company should be setting the standard for the rest of the industry to follow but are missing that aspect of their business model. To cut to the chase, do your homework. 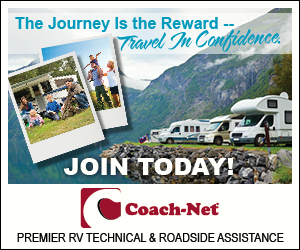 Read reviews, talk to your fellow RVers and communicate with your insurance company as to who they recommend (or are willing to pay to have it done). If they recommend them, then you probably get satisfaction and security in knowing the job was done right. If someone is willing to change their travel plans to visit a park where there is someone they trust, its probably worth noting for future reference. I have met several who will drive a long ways out of their way just to get to someone they know and trust to do the work right the first time.